The Phytophactor: Whither comest new technology? According to that always authoritative source the Onion the new MacBook is doing away with the keyboard, instead replacing it with the "wheel". This technological advance is intuitive, easy, dumb, and slow (see the demo). 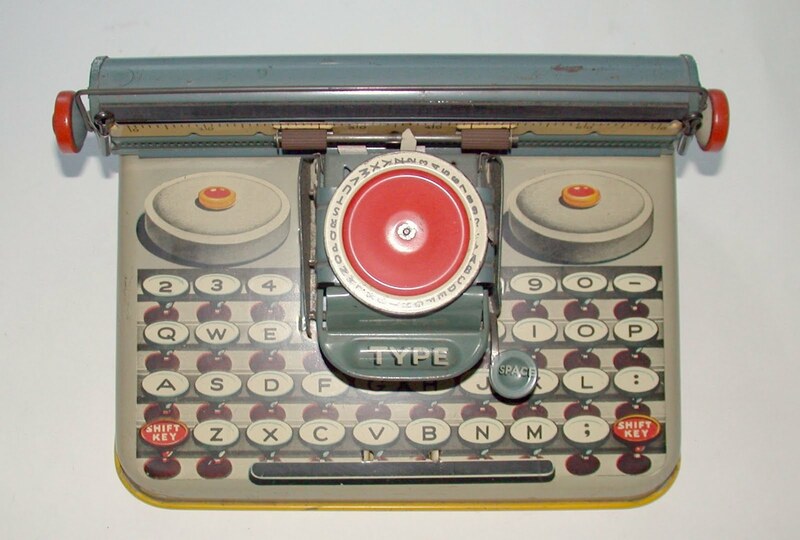 But something looked vaguely familiar about this, and from deep in my memory recesses an image emerged of a toy typewriter we had as kids. 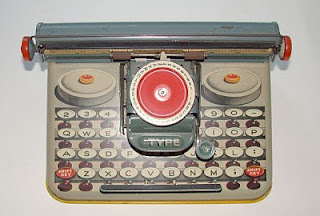 Like the Onion's MacBook it used a wheel; the keyboard was fake and you had to dial up each character, one at a time, and then print to to the paper by hitting the "type" button. So at least one of the Onion's writers must still use one of these.